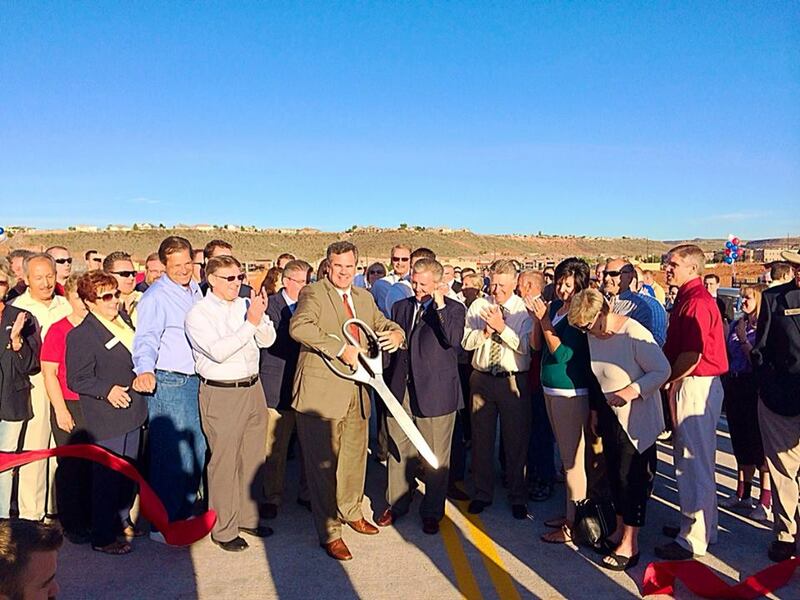 ST. GEORGE – With his first year as mayor behind him and a fresh year ahead, Mayor Jon Pike reflected on the highlights and surprises of 2014, and what he and St. George residents can look forward to in 2015 and beyond. Pike was elected mayor of St. George during the 2013 election cycle, beating out long-term Mayor Daniel McArthur, who had been at the city’s helm for 20 years. Before being elected mayor, Pike served as a member of the City Council for six years. So what was the biggest surprise for Pike once he took the mayor’s seat? Some people may have the impression that St. George and Southern Utah are a little slower paced than other areas, he said. “It doesn’t feel that way from this chair,” Pike said. The city completed several large building projects last year, the mayor said. “2014 was a pretty big infrastructure year,” Pike said, referring to extensive road work done in the Little Valley area, the 3000 East corridor, Mall Drive, and particularly the completion of the Mall Drive Bridge. Although not in charge of the project, the city was also very involved in the construction of the Red Hills Parkway overpass, which was completed last year. The mayor is encouraged by increased citizen involvement in municipal affairs, and pointed to the creation of various citizen advisory boards. There are now boards related to active transportation, the city’s animal shelter, the municipal airport, and veterans affairs. Another highlight of the previous year was the creation and opening of the SwitchPoint Community Resource Center, which shows that the city is taking a much more active role in combating homelessness. While 2014 was a big year for infrastructure projects, Pike said he sees 2015 as being geared towards arts, parks and recreation projects, with the passage of the RAP tax last year. The tax is projected to generate $2 million in revenue annually, with half of that going to St. George. Last week the city broke ground on the All Abilities Park on Dixie Drive. The park, a dinosaur-themed $4 million project covering nearly 4 acres, is meant to be a place where all children, with and without disabilities, can go and play. “We hope to have that, if we can, up and running this summer,” Pike said. An official, celebratory groundbreaking will at held by the city at the location of the future park at 1851 S. Dixie Drive next to Tonaquint Park, Thursday at 4 p.m. The public is invited to attend. Another ongoing project the mayor hopes to see completed by the end of the year, if not sooner, is the Electric Theater. 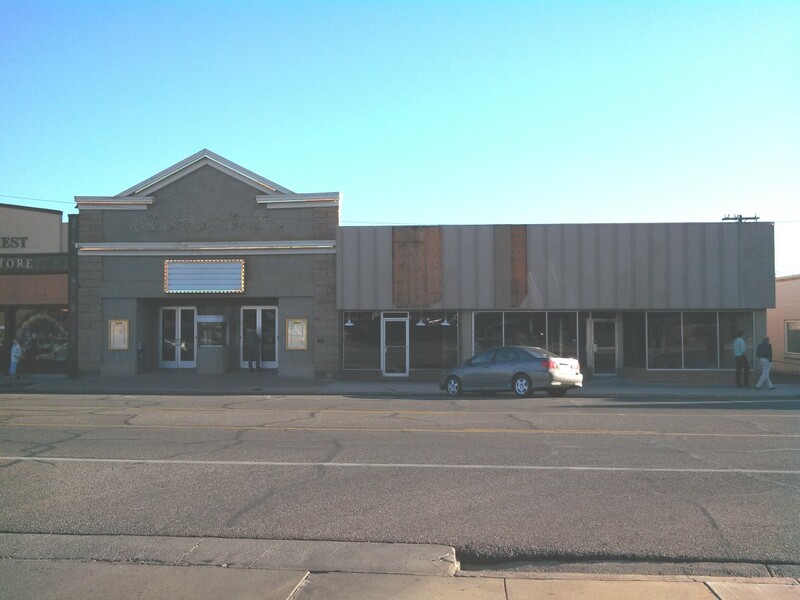 At an estimated $3 million to restore and renovate, the city plans to turn the century-old theater and adjacent buildings into an arts center. Recently two buildings adjacent to the Electric Theater were torn down. The buildings were part of the overall complex the city is renovating and rebuilding, and will be rebuilt in the coming months with a more accommodating floor plan for the pending arts center. Another property within the city that has garnered a lot of attention in the past few years is the Dixie Sunbowl. 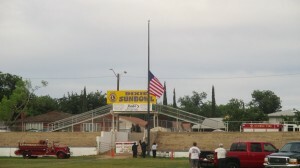 The Sunbowl, home of the annual St. George Lions Club Round Up Rodeo, was one of the properties potentially being considered in a land trade between the City of St. George, Washington County School District and Dixie State University. DSU is eying East Elementary on 700 East as a place to extend its campus, and the WCSD wants to build a new elementary school in the current Sunbowl location. There has been talk of replacing the Sunbowl with the desired elementary school, a concept that didn’t sit well with many St. George residents. That idea has since been taken off the table and the Sunbowl will remain. Through funds from the RAP tax and private donations from the community or the Lions Club, the city hopes to make some improvements to the structure and parking area. 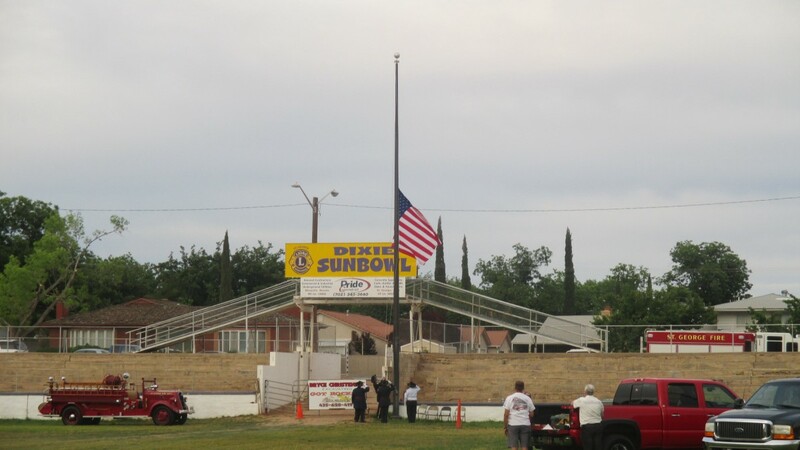 Pike would also like to see the Sunbowl used more, and possibly promote its use as a sports field. In its early years, Dixie College football was played at the Sunbowl. Other areas where RAP tax funds may be applied include the city’s Pickleball complex in Little Valley. Pike said he wanted to see an additional 12 courts added to the complex, and possibly new sports fields to accommodate rugby, soccer and other sports. Speaking on economic matters for the coming year, Pike said the city has a plethora of plans for 2015. The city will continue to work with downtown and area merchants to foster a good environment for business. City officials meet with downtown merchants on a regular basis, he said. The mayor is also looking forward to mixed-use development in the downtown area, referring to a project to be built across the street from the Fifth District Courthouse at the corner of Tabernacle Street and 200 West. Called Joule Plaza, the project will house both commercial and residential units. The city will also continue to look at the Fort Pierce Industrial Park as a location for incoming businesses. Recently the City Council approved the creation of community development areas and tax incentives for businesses like glass manufactuter Viracon, Industrial Brush and Environmental Stone Works. As for attracting new businesses to the area, Pike said the city will work closely with Site Select Plus to make that happen. The city will also continue to work closely with Dixie State University and the Dixie Applied Technology College as those institutions move forward with their plans. DSU is planning to build new on-campus student housing in the near future, while DXATC continues to move ahead with plans for what will eventually be its new 30-acre campus on the Black Hill, where the old airport was located. Overall, Pike also hopes to continue increasing public involvement in city affairs. “We will continue to make strong efforts to involve people in the community,” he said. Last September, the mayor gave a “state of the city” address at a St. George Area Chamber of Commerce luncheon. Pike plans to give another ‘state of the city’ speech Feb. 4 at noon at the Courtyard Marriott Hotel, 185 S. 1470 East. The public is invited to attend. Arthur McDaniel II says more of the same as Arthur McDaniel I? For a minute I thought EVIL TWINS MOMMY was describing herself…. It likely smells far better than you do, mommy. I think we have a fair amount of parks already. Why not more emphasis on street repairs and installing street lights on the many major roads that are dangerously dark? Did someone spike Pike’s koolaid?